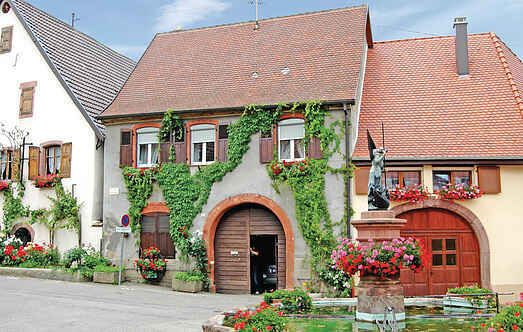 Find a vacation home to rent in Haut-Rhin from our list of vacation rental properties. Campaya has over 15 vacation homes available in Haut-Rhin, which give you the possibility to locate a unique accommodation in Haut-Rhin which completes your check-list in search for the perfect self catering vacation apartments in Haut-Rhin or vacation villas in Haut-Rhin. This house is located in the quiet village of Pfaffenheim, in the heart of Alsace, around 13 km south of the charming town of Colmar. Located in one of the most beautiful villages of Alsace, this holiday house is arranged on the ground floor and in a dead end. The rooms are bright with views of the surrounding vineyards. New wooden chalet in the woods with roof terrace, at Colmar and on the wine route! An apartment in a 17th century wine grower?s house. A studio apartment in a 17th century wine grower?s house.